This patch was made at the request of Tramsam500. It makes graphical and gameplay changes to make the game more enjoyable. The text was changed to look nicer. 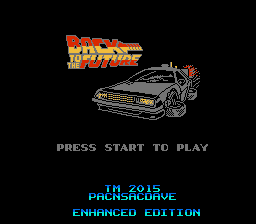 The title screen was enhanced. Marty now has a red vest like he does in the movie, as well as blue sleeves. The picture of Marty and his siblings was horrible, and also enhanced to look nicer. There is a new ending as well. 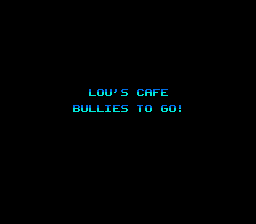 Also, gameplay elements such as infinite lives, and an instant win at Lou's Cafe, make the game less difficult so the gamers can enjoy the main game.